Daily Mirror - Will their heads roll! A new governing one created a sensation in political circles recently when he publicly announced that he would personally support Gota, should he come forward as a candidate at the big poll. 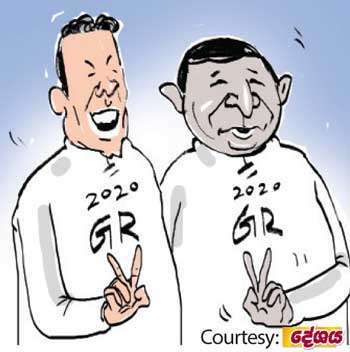 This governing one, who once ruled the roost in Rajarata, has now been shifted to an adjoining province. This public statement by the governing one when it is already public knowledge that Number One has decided to enter the fray seeking a second term has caused a stir among those close to the palace. Meanwhile, yet another governing one, another Ratna by coincidence, has reportedly made a similar public statement. Both are likely to be taken to task for shooting off their mouth. But it is too early to say whether the two heads will roll, or the duo will face a lesser punishment, sources close to the palace say.